A personal selection of photographs taken by your webmaster. 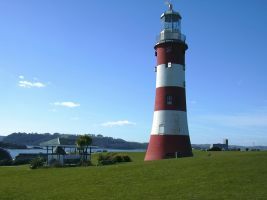 Smeaton's Tower is perhaps Plymouth's most recognisable landmark. 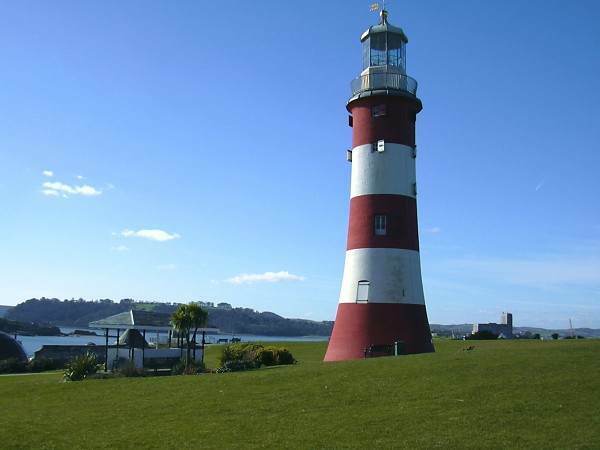 Originally built in 1756..1759 by John Smeaton, it was the fourth Eddystone Lighthouse, replacing earlier ones by Winstanley and Rudyerd. 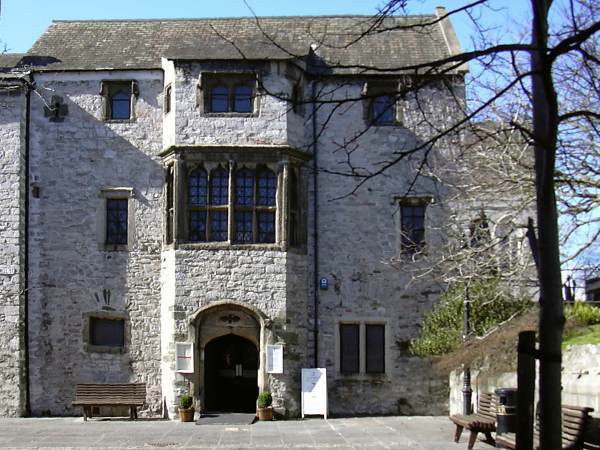 Its interlocking granite block construction proved far more durable than its predecessors, and it was only when the rock beneath the tower began to crack that the decision was taken to replace it. 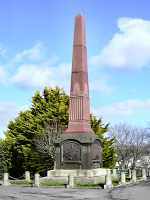 It served for 123 years, one year more (as of 2004) than its successor, the current Eddystone Light. 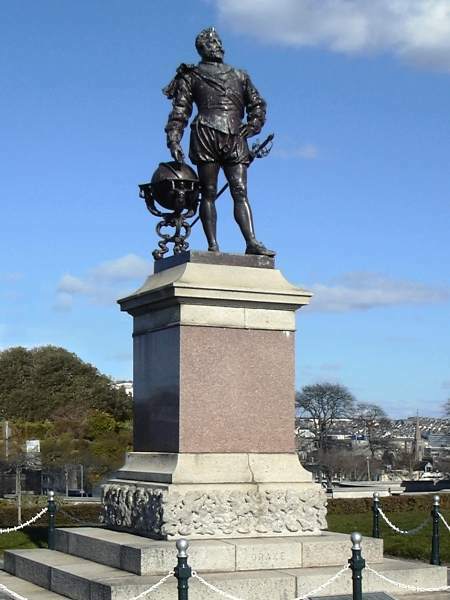 Sir Francis Drake (1540 - 1596) is best known through his naval exploits, allegedly repelling the Spanish Armada after waiting on Plymouth Hoe to finish his game of bowls, and circumnavigating the world between 1577 and 1580. However he was also a local man, born near Tavistock, and was the owner of Buckland Abbey for many years. 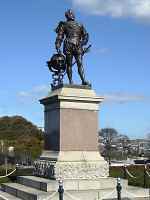 He became Mayor of Plymouth in 1582 and left behind a legacy of civil works, notably Drake's Leat, an aqueduct constructed to carry water from Dartmoor to Plymouth. Drake's Statue dates from 1884. 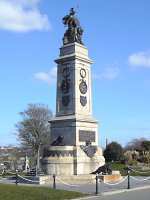 The National Armada Memorial was built on the 300th anniversary of the victory over the Spanish in 1588 and celebrates Drake and others such as Admirals Effingham and Seymour. Plymouth's position as a major naval and military centre has involved its people in many conflicts. The South African War Memorial was unveiled in 1903 in memory of Christian Victor Prince of Schleswig-Holstein and the fallen of the Gloucestershire, Somerset and Devonshire Regiments. 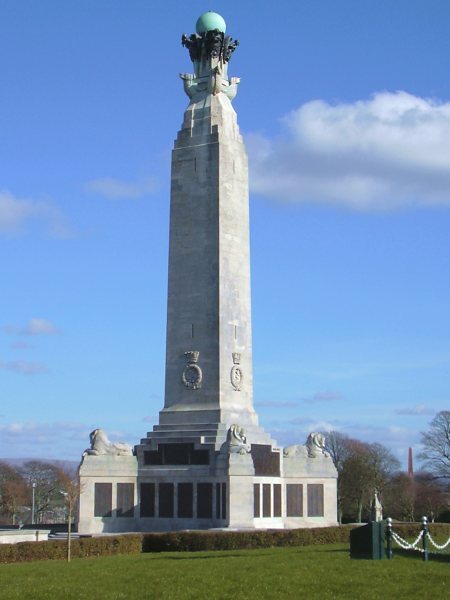 The Naval Memorial, the grandest and most prominent of Plymouth's memorials, was originally built in 1924, dedicated originally to over 7,000 sailors who lost their lives in the First World War. 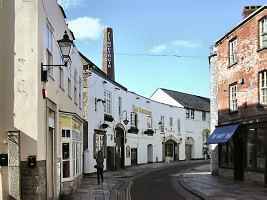 It was extended after World War II. 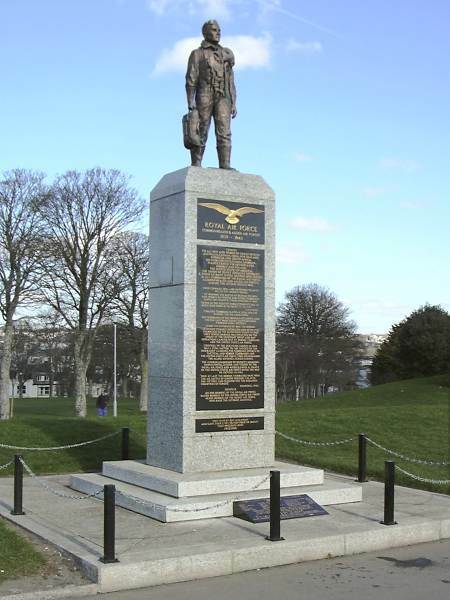 The RAF and Allied Forces Monument is dedicated to those men and women who served in the Allied Air Forces during the period 1939-45, both in the air and on the ground. 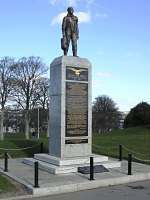 It was a late addition to the memorials of World War II, being unveiled only in 1989. Plymouth owes its existence and its history to the shelter provided by Plymouth Sound. 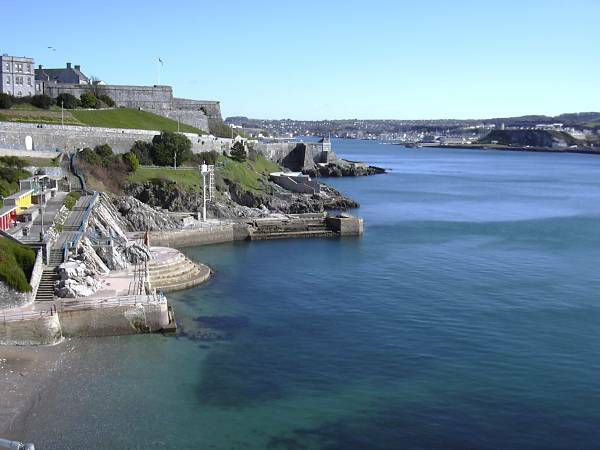 The Citadel was built 1662 for Charles II as a fortress against the local Parliamentarians, and this view looks eastwards past its limestone ramparts towards the entrance to Sutton Harbour. 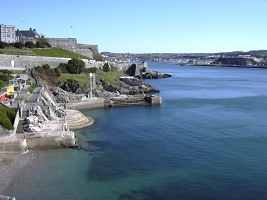 Looking west towards Cornwall overlooks the area known as West Hoe, from where limestone was quarried for some of London's most famous buildings. 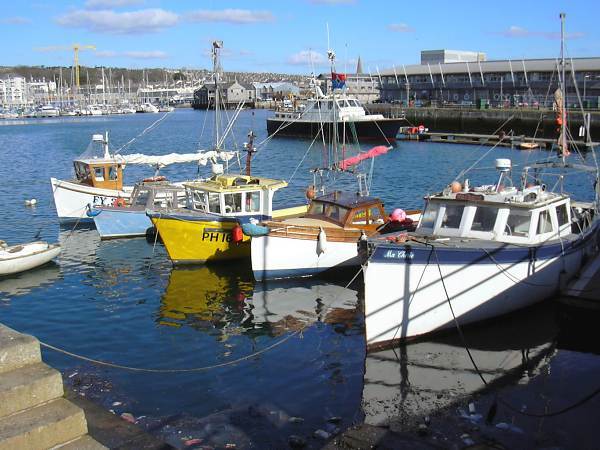 Sutton Harbour is the original harbour of the old port of Plymouth and is still the home of the fishing fleet. The original fishmarket was on the quay shown in the left-hand picture, now the Barbican Glassworks. 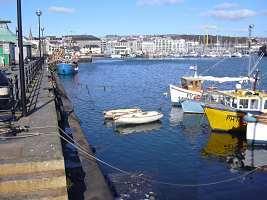 The new fishmarket is the large building at the right of the right-hand picture. 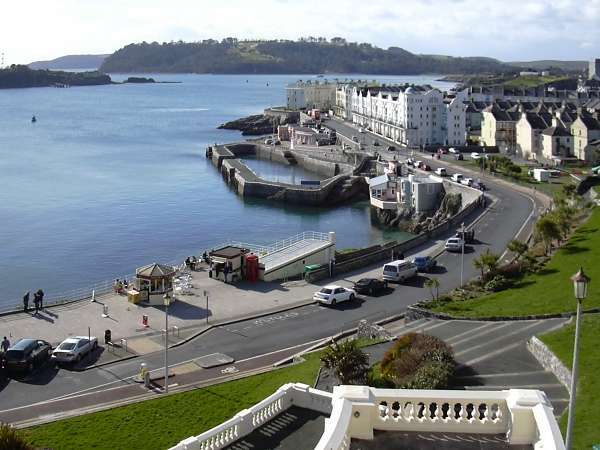 Behind us are the Mayflower Steps, from where the Pilgrim Fathers set sail for the New World in 1620. 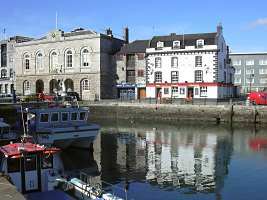 The Three Crowns public house, overlooking Sutton Harbour and in the heart of the Barbican, represents the traditional side of Plymouth's attractions. 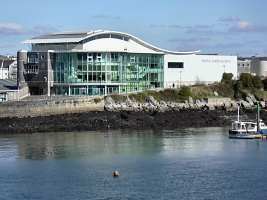 In contrast the National Marine Aquarium, opened in 2000, is the country's foremost aquarium, set up for the purpose of education, conservation and research as well as a major visitor attraction.